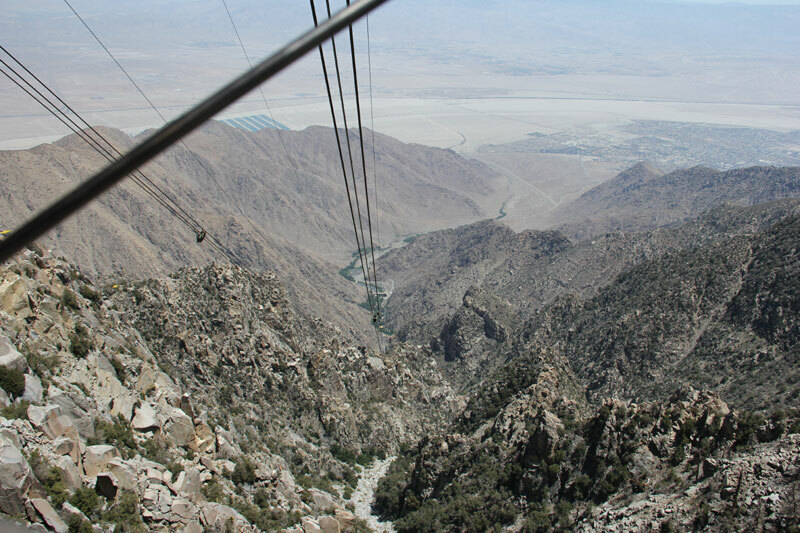 May 17, 2012 - Today's adventure took us to Palm Springs for a ride on the Aerial Tramway. 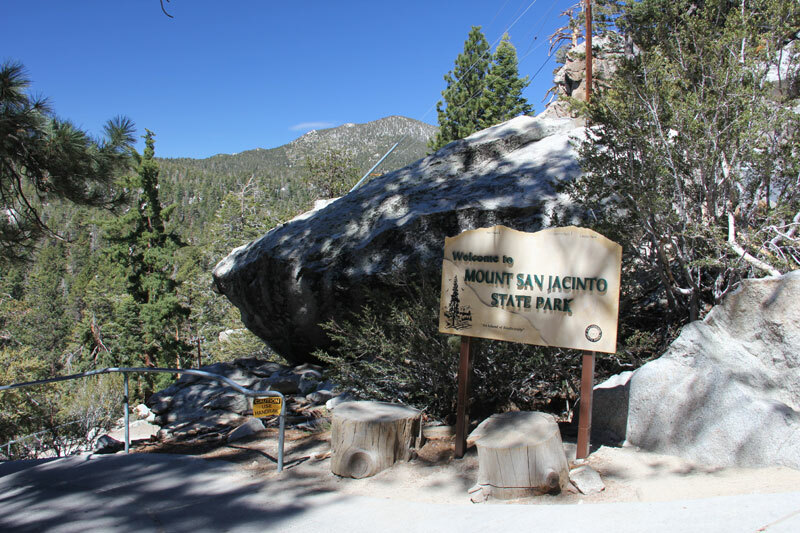 Because of the high temperatures in the city, we decided to go today since the city wouldn't be too hot and the temperature at the top of the San Jacinto Mountain wouldn't be too cool. As a bonus, while we were in downtown Palm Springs, we were able to see the installation of the "Forever Marilyn" statue. Workmen are still preparing the 26 foot statue for its official unveiling on May 24th. 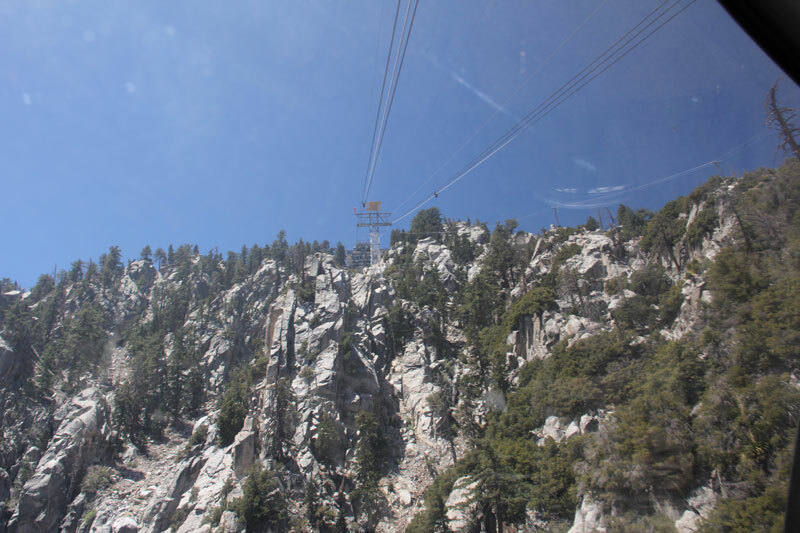 After that we headed to the tram. 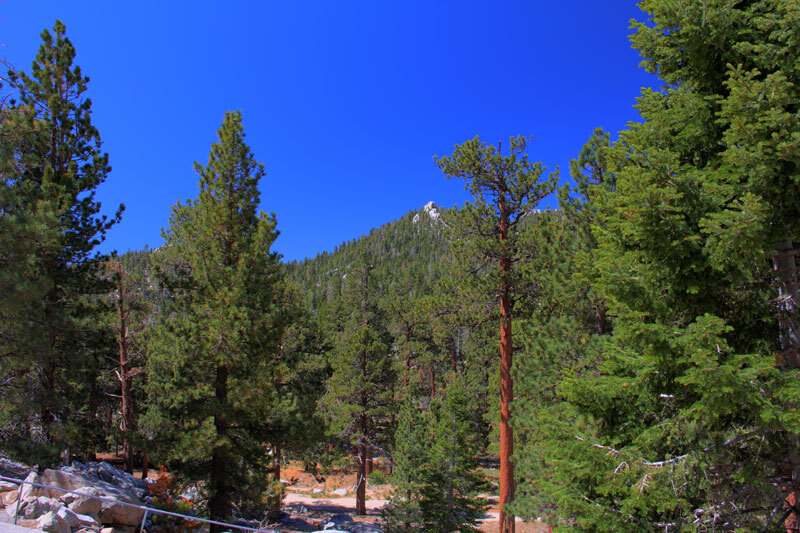 The 10 minute, 2 1/2 mile trip begins at an elevation of 2,643 feet and we were transported to the Mountain Station at 8,516 feet. 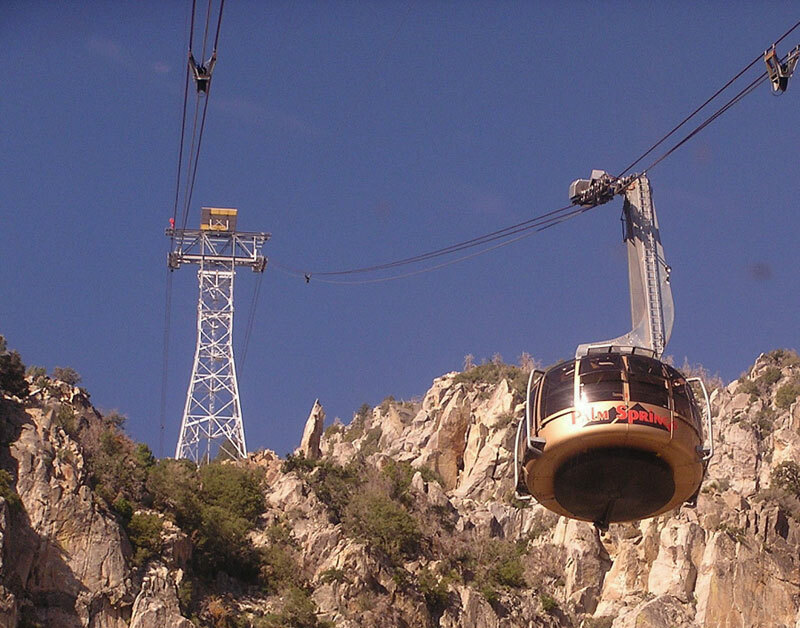 The tram holds up to 80 people at one time and revolves both going up and coming down. 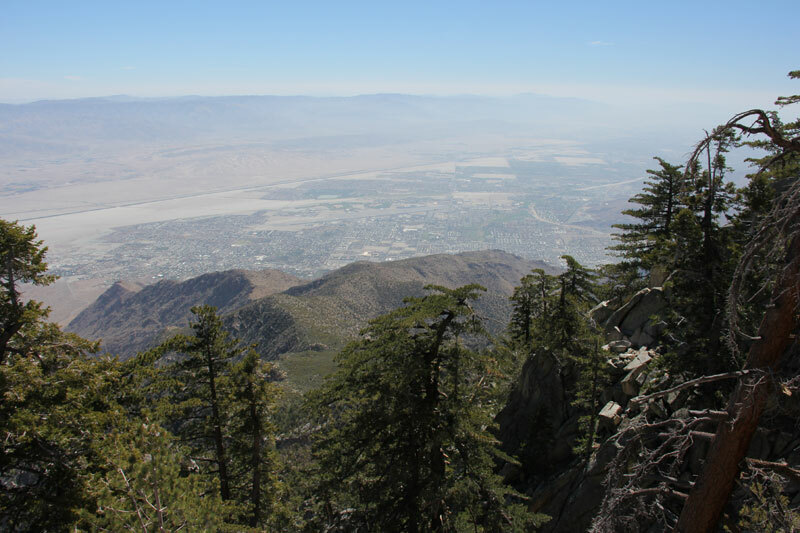 This view overlooks the city of Palm Springs and the Coachella Valley. 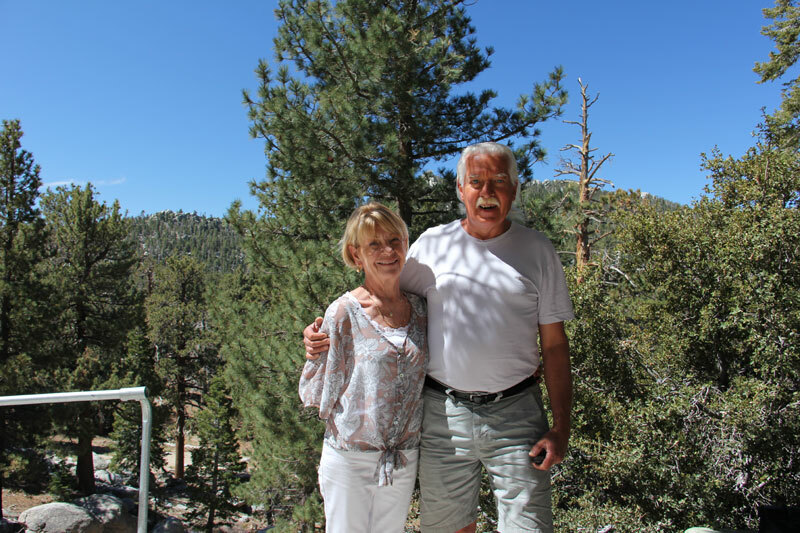 After a delicious lunch at the Peaks Restaurant, we headed back down to the Valley Station.